Michael McFaul, From Cold War to Hot Peace: An American Ambassador in Putin’s Russia (Houghton Mifflin Harcourt, 2018). Peter Reddaway, Russia’s Domestic Security Wars: Putin’s Use of Divide and Rule against his Hardline Allies (Palgrave Pivot, 2018). Brian D. Taylor, The Code of Putinism (Oxford University Press, 2018). In recent months, three Western political scientists have published books on the Russian presidency that challenge the conventions of their discipline. Instead of focusing on the institutional, economic, and ideational structures that drive most contemporary political analysis, they place the agents of history at the center of their works, specifically Vladimir Putin and his close associates. That scholars of Russian politics should be focusing their attention on questions of leadership should come as no surprise. 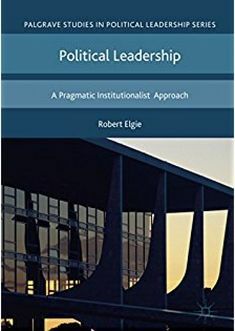 As Brian Taylor suggests—with more than a little understatement—in The Code of Putinism, “in the Russian political system, given the prominence of the leader and the weakness of institutional constraints, there is more space for the mentality of the ruling group to play a significant role and drive outcomes” (p. 199). Attempts to capture the mentality of the Russian leadership can be traced to Nathan Leites’ much-discussed, and in certain circles much-derided, Rand Corporation study of 1951, The Operational Code of the Politburo. Where Leites sought to set out what he called the sources of the “general rules” of conduct of Soviet leaders, Peter Reddaway’s new book, Russia’s Domestic Security Wars, uses case studies of intra-elite conflict to illustrate the implicit “understandings”, or poniatiia, that shape the worldview and behavior of the informal clans competing for Putin’s favor at the apex of the Russian political system. Reddaway’s short and tightly-focused work brings to life the bureaucratic wars between factions in the uniformed services (the siloviki) in Putin’s second presidential term, from 2004 to 2008. In this period and beyond, in Reddaway’s view, Putin acted alternately as observer, referee, and manipulator of the internecine warfare, where the weapons included violence, selective prosecution, corporate raids, and the leaking of compromising materials (kompromat) about adversaries. According to Reddaway, Putin’s “leadership” here was a means of guaranteeing his own personal security as well as “manually steering” the political system writ large. Brian Taylor’s The Code of Putinism represents a more ambitious and systematic attempt to deduce the patterns of thought and behavior characterizing the Russian leadership under Putin. Taylor’s methodology is distinctly Weberian. While most social science analysis of Russia is grounded in what Weber called instrumental rationality, Taylor highlights the other three influences on human behavior discussed by Weber: “value rationality” (values or ideas), “affect” (emotion), and “tradition” (habit). Eschewing explanations that emphasize “pure, rational pragmatism or the inevitable pull of Russian culture and traditions,” Taylor finds the sources of leadership conduct in Putin’s (and his associates’) belief in great power statism, anti-Westernism, anti-Americanism, and conservatism/anti-liberalism (their ideas); a penchant for control, order, unity/antipluralism, loyalty, and hypermasculinity (their habits); and feelings of respect/disrespect and humiliation, resentment and desire for revenge, and vulnerability/fear (their emotions). As Taylor recognizes, Putinism as a bundle of interwoven ideas, habits, and emotions was not fully developed in 2000, when Putin assumed the Russian presidency, or even in 2003-4, by which time authoritarianism had been more or less consolidated in Russia. It has instead crystallized over time. Where the habits underpinning Putinism may have changed little, if at all, during Putin’s almost two decades of rule, certain ideas and emotions have become especially prominent and influential since 2011, most notably anti-liberalism, anti-Westernism, and resentment. If Putinism itself is a dynamic concept in Taylor’s assessment, the country’s organizational landscape is more static, resting as it does on two fundamental pillars: formal state institutions, which Taylor calls collectively hyperpresidentialism, and the informal political networks that penetrate them. Having produced an earlier, path-breaking work on the power ministries and their role in Russian politics, Taylor understands that the conflict among high-ranking political clans is shaped not just by informal poniatiia but by the rules of the state. He pushes back, therefore, against those who would view Russia as a mere kleptocracy or mafia state. While Putin may be operating behind the scenes in the inter-clan battles as the capo di tutte capi, as the occupant of the presidency he must project the majesty of a head of state while publicly navigating a minefield of formal rules and policy challenges that limit his freedom of maneuver. As Taylor argues, no small part of his success in the public realm is due to his ability to substitute performance legitimacy for procedural legitimacy. Putin’s growing mastery of politics in two distinct but intersecting realms has allowed him to occupy a position of visibility and political dominance not seen in Russia for decades. Michael McFaul’s best-selling autobiography, From Cold War to Hot Peace, does not set out to offer a fully-formed portrait of Putin as leader, but in chronicling his own three decades of democracy-promotion, academic research, and government service in the Russian field, McFaul offers a wealth of evidence about the ideas, habits, and emotions that Brian Taylor finds embedded in the code of Putinism. On first meeting Putin in 1991, when he was Leningrad’s deputy mayor, McFaul found the former KGB officer unremarkable—“careful, unenthusiastic, diminutive—an apparatchik” (p. 17). Lacking the traditional skills of a democratic politician, Putin reached power, in McFaul’s reading, because he was “simply in the right place at the right time” (p. 58), meaning that he was viewed by Yeltsin as the aging president’s best hope of protecting the interests of the Yeltsin family, broadly defined. In a passage in From Cold War to Hot Peace that speaks directly to the Putinist habit of order as well as the emotion associated with vulnerability and fear, McFaul notes that Putin expressed allegiance to Bashir al-Assad during the Arab Spring “not because he had any deep personal affection for the Syrian leader, but because his removal…would precipitate chaos” (224). From Cold War to Hot Peace also reveals Putin’s emotional response to perceived insults. At Obama’s first summit with Putin in 2009, which McFaul attended as the Russia specialist in the National Security Council, the Russian president not only held forth about “several instances of disrespect from the Bush administration,” but “[f]or each vignette of disrespect or confrontation, he told the president the date, the place, and who was at the meeting.” In McFaul’s words, “[t]his was a guy with a chip on his shoulder” (p. 131). Having been subjected to constant abuse and intimidation by the Russian authorities while he was US ambassador in Moscow from 2012 to 2014, McFaul believed that his own career was testimony to the fact that “Putin carries grudges” (p. 72). In McFaul’s view, one of the sources of that resentment was an article that he wrote years earlier with a colleague in Foreign Affairs, an article arguing that rising oil and gas prices, and not Putin’s leadership, explained Russian economic growth. As an inveterate democracy-promoter, what irks McFaul most about Putin as president are his ideas, and particularly his anti-Westernism and anti-liberalism, to return to the elements of value rationality mentioned by Taylor. If not for a particular historical turn, McFaul insists, someone with very different ideas might have risen to power in Russia. Specifically, absent Russia’s economic collapse in 1998, “Yeltsin might have very well selected [Boris] Nemtsov as his successor, and the world might never have heard of Vladimir Putin…. [Nemtsov] had the skills and charisma to have become a successful president—a successful democratic president” (p. 58). Thus, the through line of McFaul’s book supports Brian Taylor’s conclusion: “Russia is authoritarian because Vladimir Putin made it so” (51). In the view of some in Russia, of course, the ideas, habits, and emotions of Putinism have been a godsend. In the words of a Kremlin official quoted in the opening lines of Taylor’s book: “There is Putin—There is Russia. There is no Putin—There is no Russia” (p. 1). In discussing the distinct path of recent Russian political development, the idea of Putin the Indispensable is therefore one of the few points of agreement between many supporters and critics of the Russian president. 2.) Although the primary focus is on the siloviki, the conflict spilled over into other sectors, most notably the business community. 3.) In this project, Taylor builds on numerous works already in print, including Alena V. Ledeneva, Can Russia Modify? Sistema, Power Networks and Informal Governance (Cambridge University Press, 2013) and Richard Sakwa, The Crisis of Russian Democracy: The Dual State, Factionalism, and the Medvedev Succession (Cambridge University Press, 2011). For an attempt to describe Putin’s “ideology” that was written by a Russian supporter of the president, see Aleksei Chadaev, Putin: ego ideologiia (Evropa, 2006). 4.) See Brian Taylor, State Building in Putin’s Russia: Policing and Coercion after Communism (Cambridge University Press, 2011). 5.) These few paragraphs can’t do justice to the richness of The Code of Putinism, which moves beyond the factors animating Putin’s leadership to an assessment of that leadership. Based on extensive empirical evidence, Taylor concludes that Putin is “misruling” Russia (see especially Chapter 5). This assessment builds on his more targeted analysis of state quality in State Building in Putin’s Russia. 6.) Taylor recounts an incident from February 2000 when Putin was running for his first presidential term and a journalist asked him whether the IMF’s recent actions toward Russia were offensive. Putin interrupted the journalist and stated: “Anyone who offends us will not last three days” (p. 31). 7.) The italics are McFaul’s. This entry was posted in Europe, Russia and tagged President Putin, Russia on October 1, 2018 by Eugene Huskey.